Taipei, July 19 (CNA) China’s ongoing live-fire military exercise in the East China Sea is actually targeting the peripheral areas of the Diaoyutai Islands, which are covered by the U.S.-Japan Security Treaty, a security expert in Taiwan with knowledge of the matter said Thursday. The live-fire exercise, which began Wednesday at 8 a.m. and is due to end July 23 at 6 p.m., is being held in an area about the size of Taiwan, according to the Global Times, a mouthpiece of the China government. The main purpose of the drill is to send a warning to Taiwan, the newspaper said, but the Taiwan expert argued that the exercise was meant to flex China’s military muscles ahead of Japanese Prime Minister Shinzo Abe’s visit to Beijing in October. 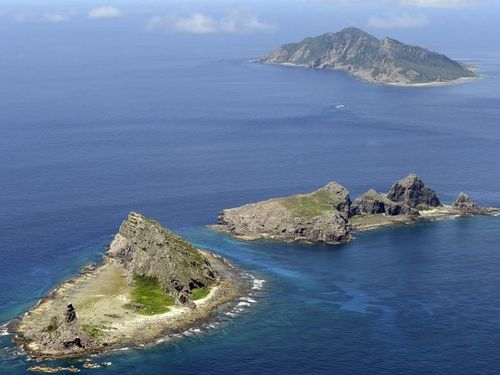 It is also a way of taunting the U.S., the expert said, pointing out that the exercise was being held on the periphery of the Diaoyutai Islands in the East China Sea, a core area covered by the U.S.-Japan Security Treaty. Over the past six months, China has been carrying out frequent military movements in the South China Sea and in areas near Taiwan, Japan, the Korean Peninsula, and the Philippines, to the dissatisfaction of those countries and others in the region, the expert said. That is the main reason why Japan in April activated its first marine unit since World War II and plans to deploy Type-12 surface-to-ship missiles on Miyako Island to bolster its defenses against threats to its remote southwestern islands, according to the expert. China’s frequent military maneuvers are also seen as a response to the presence of two U.S. warships in disputed waters in the South China Sea and in the Taiwan Strait, the expert said. A Chinese military drill that was scheduled for last year was called off, and the live-fire exercise is being held this year amid rising tensions between China and the United States and the presence of U.S. warships in the South China Sea and the Taiwan Strait, which indicates that Taiwan is not the target, the expert said.